Our crowdfunding is now over, and the whole team at Serious Pig would like to say a HUGE HUGE thank you to everyone that has invested in this small challenger business with big ambitions. It’s been supported beyond our wildest expectations and we’re blown away with the number of investors who’ve decided to Own A Slice – 1,614 to be exact! Our raise smashed through the £350,000 target and hit it’s cap of £895,000 which means we closed a little earlier than planned, and that we now have lots of work to do, but we couldn’t be more excited! 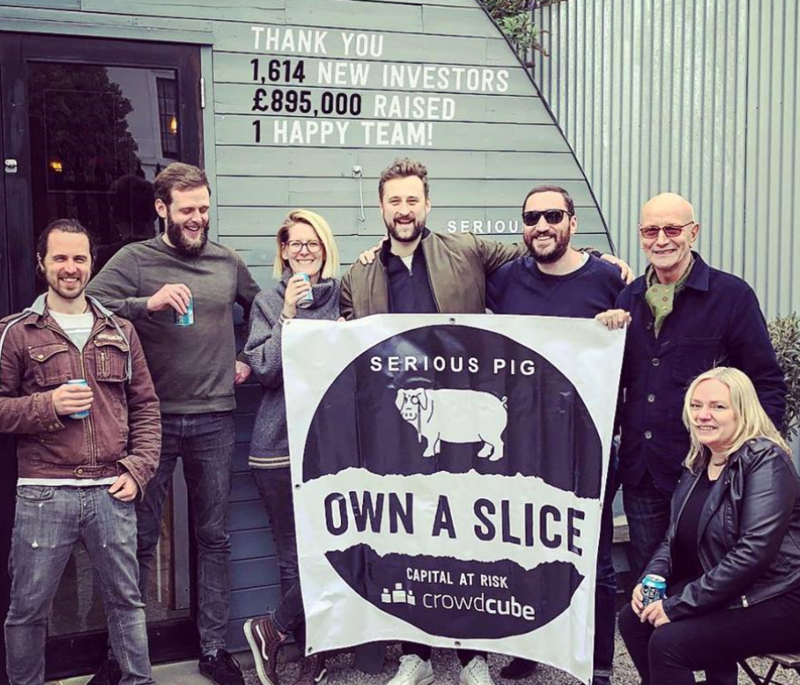 Whilst the team at Crowdcube pull all the paperwork together, start the legal process and contact everybody that invested, Team Pig will be mapping out our plans now that we know exactly what funds have been raised. As you can imagine we’ve got lots of exciting ideas and initiatives to activate to up the nations snacking game! With the new investment and bigger community of snack connoisseurs we really can make this Pig fly.